Both Echo Fox and Team Solo Mid are coming into Week 3 with a single loss and win. While it is early in the season, this match will establish the ranking between these two considering both FOX and TSM lost to Clutch Gaming earlier in Week 1 and 2. 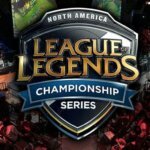 C9 recently took their match against the 100 Thieves, placing them on the board, 1-1. GGS on the other hand are struggling, down 0-2 with a loss to FlyQuest and Echo Fox. Match highly favoured for Cloud 9. While the 100 Thieves are down 0-2, they do not look too bad and remain a strong contender. That said, Team Liquid have had an extremely strong start this split, taking down both Cloud 9 and Counter Logic Gaming. Considering Team Liquid’s recent success and extremely solid roster, they will emerge victorious this game. Heading into 2019 with two new members, FlyQuest look very strong this split, as shown by their undefeated 2-0 run in the first two weeks. On the contrary, Counter Logic Gaming have yet to take a game, losing to Optic in Week 1 and Team Liquid in Week 2. Completely turning around their performance from last year, Clutch Gaming’s almost brand-new roster is completely dominating the early stages of the Spring split of the NA LCS. CG were able to take decisive victories over both Echo Fox and Team Solo Mid. Optic in comparison look significantly weaker without any particularly outstanding play so far.